I LOVE Halloween - if I could I would go to town decorating my house but alas I live in an apartment and don't have much room for my creativity. But no holds bar when it comes to costumes! 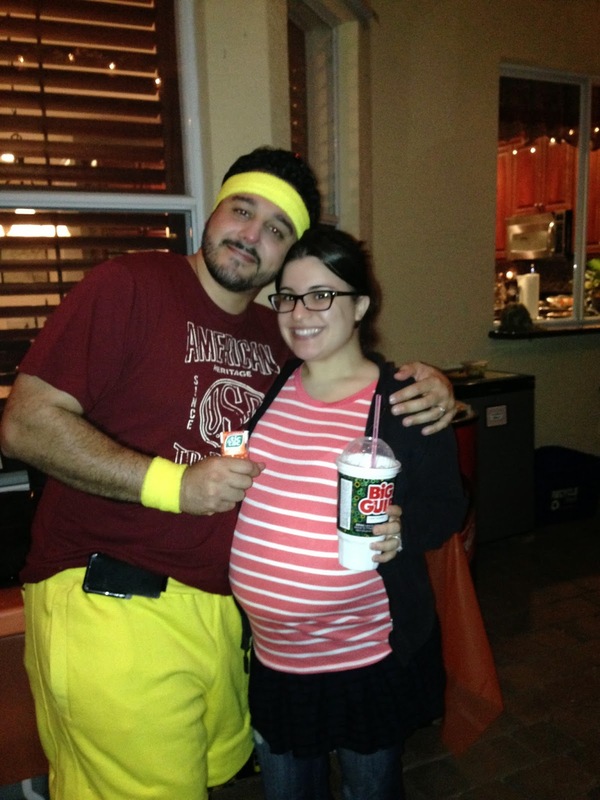 Even better, it was Little D's first halloween, so we needed to have something real good. 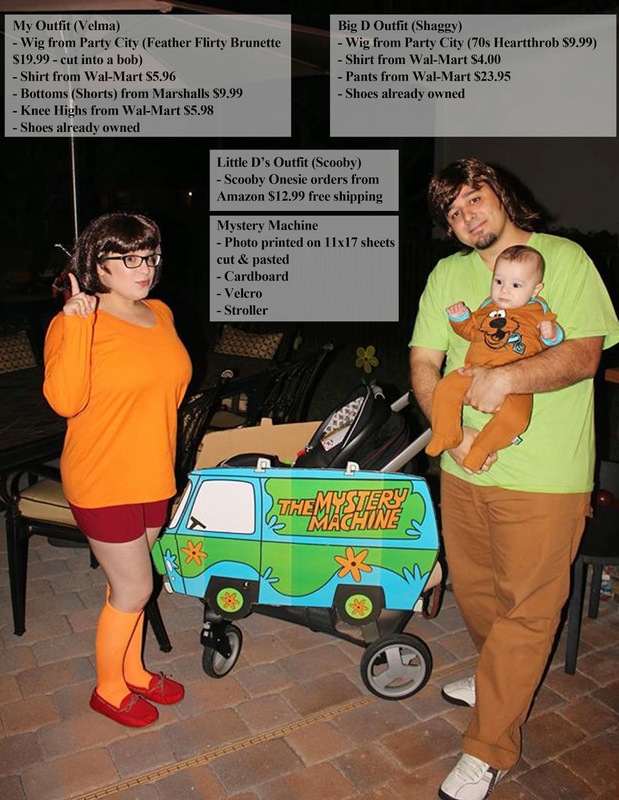 We got invited to a family halloween party - we went to the same party last year when I was about 10 weeks pregnant so it was fun to see a whole year later - here we were with our little nugget (photo of last year's costume at the bottom). Now, as a family on a budget and really in general, we didn't want to spend a lot of money on costumes, especially for something we're only going to wear for a little bit. Don't get me wrong, if the theme is real good, I'll totally go and buy the costumes, but I like to come up with things I can go buy and wear again later if I want to. Juno & Bleecker! Only fitting since I was pregnant! Of course, I wasn't that far along to we used stuffing to make the belly - Amazing what a difference a year makes! Hi there! Would you happen to have the Mystery Machine file available for me to print? Hi! Unfortunately I don't have a printable file but what I did do was just google the image and printed it at the format size I needed it - I guess I should make one! !